Recently, Chevy and Entrepreneur got together to give mobile entrepreneurs across a range of business types the opportunity to test the Chevy City Express LT in real-world conditions. The following is just one example of what these business owners experienced. According to vice president of operations Mike Buongiorno, Barr Engineering, in Santa Fe Springs, California, has been in business since 1965. In 1980, Mike’s father, Sal Buongiorno, who’d been in air conditioning repair for larger firms, bought the company. Today, Barr and its 30 employees perform a wide range of HVAC-related functions, from providing certified HVAC maintenance and emergency repair to complete design-build assignments. When you own a small business, the road to success can be challenging. But with a reliable partner like the Chevy City Express small cargo van, you can be on the go 24/7, tackling a wide range of tasks. Whatever the job requires, the City Express is built with the perfect form and functionality required to get your job done. With a range of conveniences including 122.7 cubic feet of cargo space*, EPA-estimated 24 mpg city, work-ready features, and a mobile office, the City Express is the small cargo van for businesses with everyday jobs. 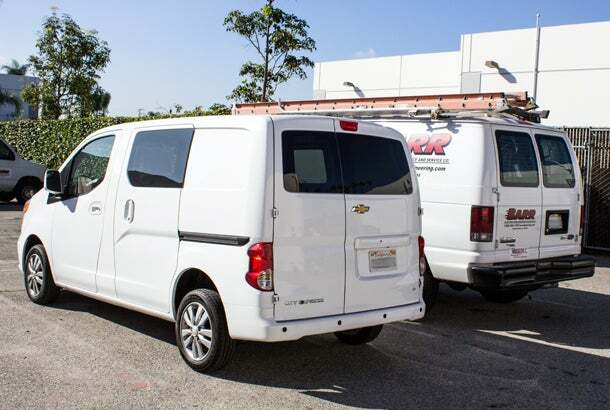 To learn more about how Chevy City Express can drive the success of your business, visit www.chevrolet.com/cityexpress.